JUDY VALENTE, correspondent: The list of charities seeking donations can seem endless. There are organizations that fight hunger, provide free medical care for children with cancer, or build houses for the needy. Then there are the solicitations we receive from the schools we attended, from museums, concert halls and, of course, the places where we worship. So how’s a person to decide which charities are truly worthy? PETER SINGER (Philosopher and Professor of Bioethics, Princeton University): You need to use not just the heart and say I want to help this person, but you need to think about, is there really evidence to show that this is going to make a positive difference, and is this giving me the best value for whatever I’m doing if it’s my time, or my money—is this the best thing I can be doing? 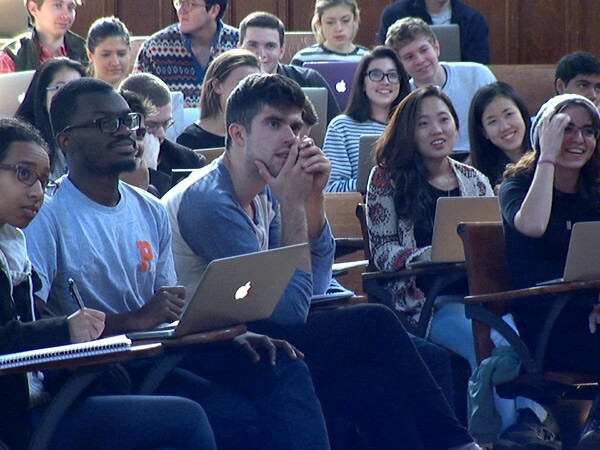 VALENTE: Princeton philosophy professor Peter Singer is a leading proponent of what he calls “effective altruism”: using your earnings to make the world better, but doing it smartly. SINGER: Simply giving to get a warm glow, giving to the person on the street who holds out their cup or giving to a charity that shows you a brochure of a smiling child, that may or may not be doing good, you really don’t know. So I wish that every American would just do a little bit of research. VALENTE: Borrowing a phrase from the business world, Singer calls it a case of means-testing. He says most consumers would refuse to pay $1,000 for a dishwasher if they could buy one for half the price that’s just as effective. SINGER: The curious thing is that with charity, people don’t do that. They don’t ask, do I get better value for my money by giving to this charity rather than that one? So that aspect of market thinking, if you like, that I want value for money, is something the effective altruism movement is trying to bring into philanthropy. SINGER: People often say, how do I know my money will get to people who need it? Ten, maybe 20 years ago there wasn’t really a very good answer to that question. But now you can go online. VALENTE: Now there are websites that analyze the effectiveness of various charities. Websites like thelifeyoucansave.org, established after one of Singer’s earlier books. And givewell.org, started by a couple of hedge fund managers who wanted to donate substantial amounts of their personal fortunes, but found there wasn’t enough data by which to judge many charities. And how do you measure effectiveness? Singer singles out popular charities like the Make A Wish Foundation. He says Make a Wish might spend upwards of $7,000 to grant the wish of an extremely ill child. He argues it’s more effective to spend that amount on bed nets to prevent the spread of malaria, and save the lives of several children in Africa. SINGER: In general, if you’re doing the same amount of good for seven children rather than one, that’s better. And in the case of Make a Wish, they’re not even saving a child’s life. They’re giving a child one great day. MICHAEL ROSEN (President, ML Innovations): I’d like to see Professor Singer sit down with a child and tell them their dream, their fantasy is not going to be realized because he doesn’t think Make A Wish is a worthy organization. 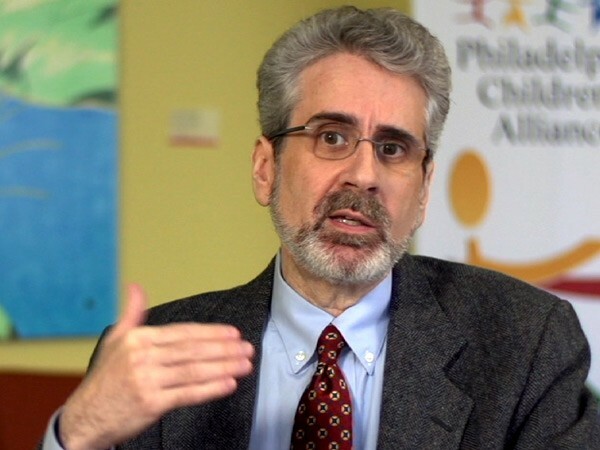 VALENTE: Michael Rosen is a Philadelphia-based fundraising consultant for several charities including the Philadelphia Children’s Alliance, which advocates for survivors of child sexual abuse. ROSEN: The reality is that we do need to support life-saving charities, but we also need to support quality-of-life charities. VALENTE: Rosen says it’s no one else’s business what charities a donor decides to support. ROSEN: What we need to do is have the philanthropic community use both their hearts and their heads when making those decisions. VALENTE: For Singer, this isn’t only about charities. He also frowns upon tithing—giving 10 percent of your income to your place of worship. It’s one of the most common ways people donate and totals about $100 billion each year. SINGER: Some of it may actually go to help people in extreme poverty in the world. There are some churches that do contribute to programs for that, and they may be effective programs. But some of it may be going to build a grander church, and I certainly don’t think that building a grander church in the United States is anywhere near as good as helping people in extreme poverty. VALENTE: And that old adage, charity begins at home? Forget it, Singer says. He advocates giving mainly to charities that help people living in developing countries, in extreme poverty. He says in those countries even small donations can accomplish a great deal. SINGER: If you really read the words of Jesus as portrayed in the gospels, it’s pretty clear that he placed enormous weight on helping the poor. VALENTE: Singer cites both Scripture as his basis, as well as the fourth-century theologian, Saint Ambrose. 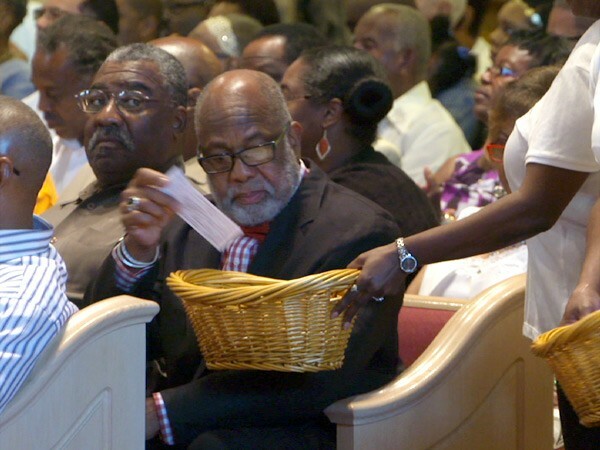 SINGER: Ambrose said that when you give to the poor, you’re not making a gift of your possessions to the poor person. You are handing over to him what is his. The problem is that these are just words until the church puts the full weight of its moral authority behind them. VALENTE: According to Singer, all religions can do better. SINGER: The churches and synagogues and the mosques and so on, their institutions ought to be emphasizing that obligation. VALENTE: Singer also says donating to museums and other arts groups, even schools, should be a low priority, since those institutions can tap into other sources of income. ROSEN: One of the things I find ironic about Professor Singer’s position is that he is the beneficiary of such philanthropy. He holds an endowed professorship and receives his salary because a donor donated very generously. VALENTE: Singer tells his students that if they want to make a real difference in the world, they probably should aim for the highest paying jobs. That will enable them to donate larger amounts of money. And that’s something on which both Rosen and Singer can agree. SINGER: We have this idea that the way to happiness is to consume a lot. You have to keep running faster and faster on this consumer treadmill just to stay where you are at the same level of happiness. And when people become more generous, when they think more about others, when they give more of their time and money to others, that actually adds to their happiness. VALENTE: Singer says whatever your income level, if you’re American you probably can afford to give even more than you’re donating now. And, he says, you won’t even miss that income, but will be happier for having given more to make the world a little better. 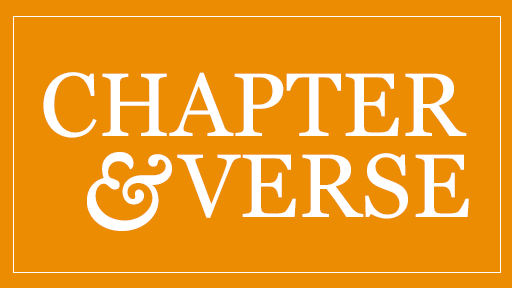 For Religion & Ethics NewsWeekly, I’m Judy Valente in Princeton, New Jersey. 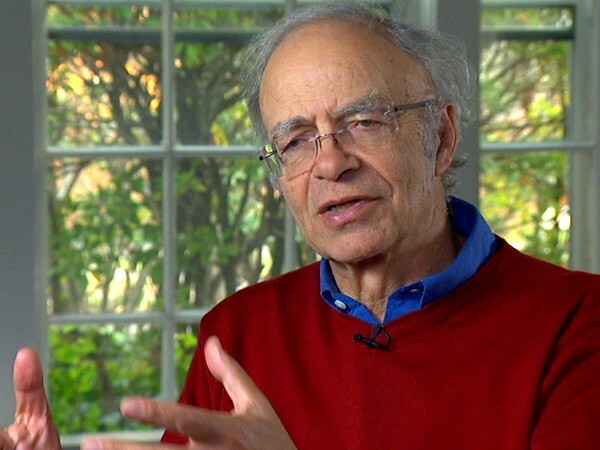 Princeton University ethicist and philosopher Peter Singer, author of The Most Good You Can Do: How Effective Altruism Is Changing Ideas about Living Ethically, explains effective altruism as using means-testing and market research to measure the effectiveness of charities, and then giving money to those organizations that can do the most good. Singer says when people become more generous and give more to others, it actually adds to their own happiness. 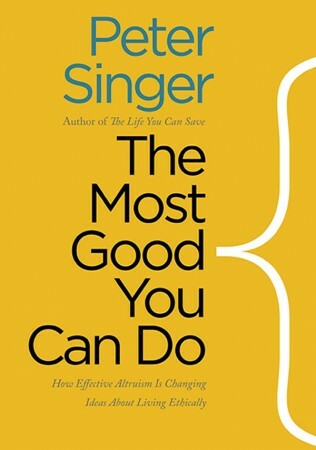 Read an excerpt from The Most Good You Can Do: How Effective Altruism Is Changing Ideas about Living Ethically (Yale University Press, 2015) by Peter Singer. At the core of the reasonable person’s ethical life is a recognition that others are like us and therefore, in some sense, their lives and their well-being matter as much as our own. Therefore the reasonable person cannot have self-esteem while ignoring the interests of others whose well-being she recognizes as being equally significant. The most solid basis for self-esteem is to live an ethical life, that is, a life in which one contributes to the greatest possible extent to making the world a better place. Doing this is not, therefore, altruism in a sense that involves giving up what one would rather be doing, nor does it involve alienation or a loss of integrity. It is, on the contrary, the expression of the core of one identity. If effective altruists are not making a sacrifice, do they deserve to be considered altruists at all? The idea of altruism always has in it the idea of concern for others, but beyond that, understandings can differ. Some interpretations imply a complete denial of one’s own interests in order to serve others. On this view, if the rich man were to do as Jesus told him—to sell all he has and give the proceeds to the poor—he would still not be an altruist because he was asking Jesus what he must do to inherit eternal life. Similarly, on a Buddhist view, helping others and protecting life advances one’s own well-being too. If one can, through virtuous living and meditation, achieve enlightenment, one transcends one’s ego and knows the sufferings and joys of every sentient being. There is no sense of loss in this transcendence of the quest to satisfy desires that previously seemed so important or of the pleasures that came from their satisfaction, for enlightenment involves detachment from one’s desires. We do not have to make self-sacrifice a necessary element of altruism. We can regard people as altruists because of the kind of interests they have rather than because they are sacrificing their interests. A story told about the seventeenth-century philosopher Thomas Hobbes illustrates this point. During his lifetime, Hobbes was notorious because his philosophy was based on egoism, the idea that people always do what is in their interests. One day while walking through London he gave alms to a beggar. A companion immediately accused him of refuting his own theory. Hobbes replied that it pleased him to see the beggar made happy, so his gift was consistent with egoism. But now imagine that Hobbes did this all day, every day; that he actively sought out people in need and offered them assistance, to a point at which he reduced his fortune and lived more simply so that he could give more. He continues to explain his actions by saying that his greatest joy comes from seeing people made happier.